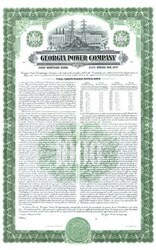 Beautifully engraved Specimen Proof certificate from the Georgia Power Company dated 1941. 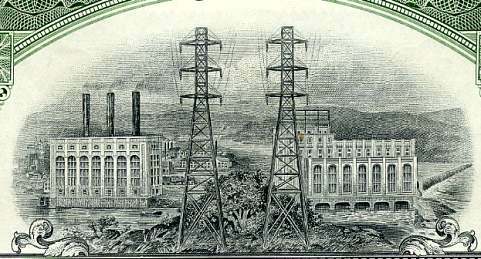 This historic document was printed by the Hamilton Bank Note Company and has an ornate border around it with a vignette of power lines in the foreground with a power generation plant next to a river and mountains in the background. This item is over 63 years old. Georgia Power, the largest of five electric utilities that make up Southern Company, has been providing electricity to Georgia for more than a century.